10 Inch Makita miter saws have the reputation of being smooth, accurate operators. These saws are considered some of the most versatile models available on the market today for two reasons. 1. The motor and blade assembly in these saws is mounted on a movable arm. Since it is very flexible, it can accommodate both large and small work pieces. 2. In these dual sliding models, the blade can pivot in both directions  left and right. This makes your work a lot easier. 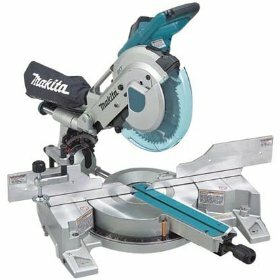 Some of the main features in these medium Makita miter saws include an inbuilt laser, an inbuilt high output fluorescent light, two self cleaning steel rails which slide on linear ball bearings, a 15 amp motor, a carbide tipped blade, dust chute, wrench storage, and an adjustable pivot fence made of aluminum. 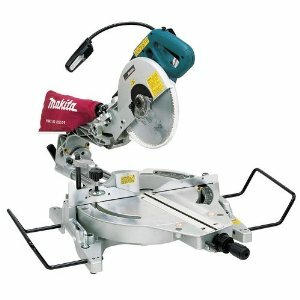 Let us now look at some of the main advantages of 10 Inch Makita Miter Saws . The slide mechanism in these makita miter saws is extremely good. A lot of reviewers have mentioned that these are the best slide saws they have ever used. These saws bevel to 45 degrees in both directions which is one of the major plusses. There is a scale on the right side which helps you adjust finer angles. The table is quite large and gives you a lot of room for wider crosscuts. These saws have nine positive stops at 15°, 22.5°, 31.6°, and 45° in both directions (left and right) and at 0° (90 degree cuts). They also have an electronic speed control which helps you maintain constant speed irrespective of the load. The soft start feature in these saws has been much appreciated by pros and novices alike. The carbide tipped blade in these saws, in particular, is of very high quality. Though they are slightly more expensive than ordinary steel blades or high speed steel blades, they are far superior in quality as well. They are known for their durability and their ability to retain sharpness for a long time. 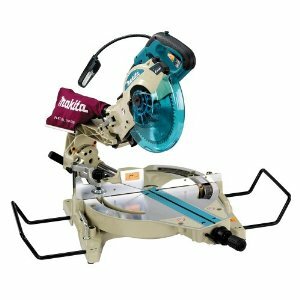 Let us now look at some of the main drawbacks of these 10 Inch Makita Miter Saws . To be honest, a lot of reviews have nothing but good things to say about these saws. 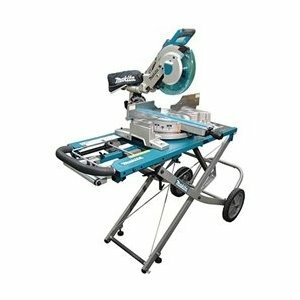 Some reviews even claim that these saws are the best dual sliding saws available on the market today. However, there are a few things that some people have a problem with. Let us take a look. The positive stops are too perfect to make small, half degree changes. It is very hard to make small changes as the saw tends to pop back into the original position again. The crown molding stops, which are optional, do not fit properly in the table. However, since they are not a regular feature in these saws, a lot of people do not seem to have a problem with them. The table lock handle is a tad too lengthy and sticks out considerably. You need to be really careful while operating the equipment so that you do not accidentally bend or break the handle. However, the advantages certainly outweigh the disadvantages. 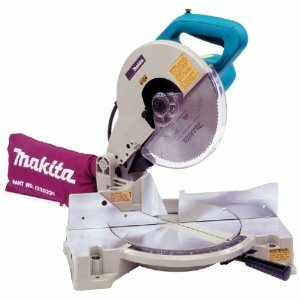 So, I think 10 Inch Makita Miter Saws are definitely a good choice for you. Return From 10 Inch Makita Miter Saws Page to Home.